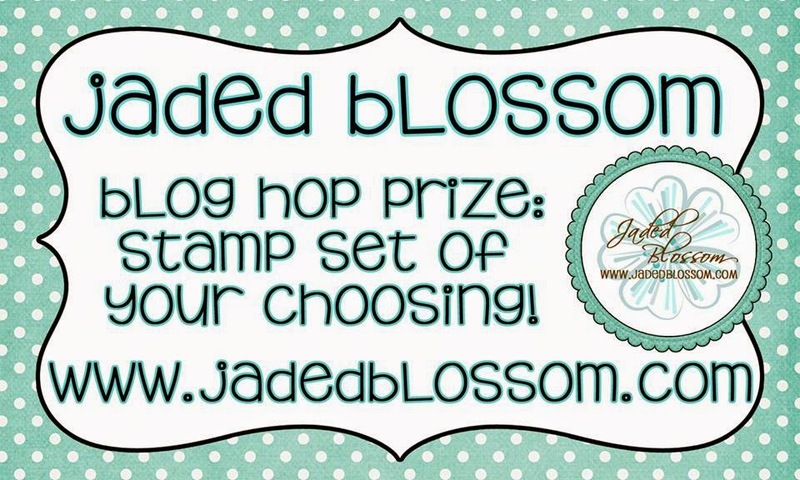 Paper Crafts by Candace: Jaded Blossom Mini Die Release Blog Hop! I wanted to make a cute little card holder and I thought the tree die would be perfect on the side of it. 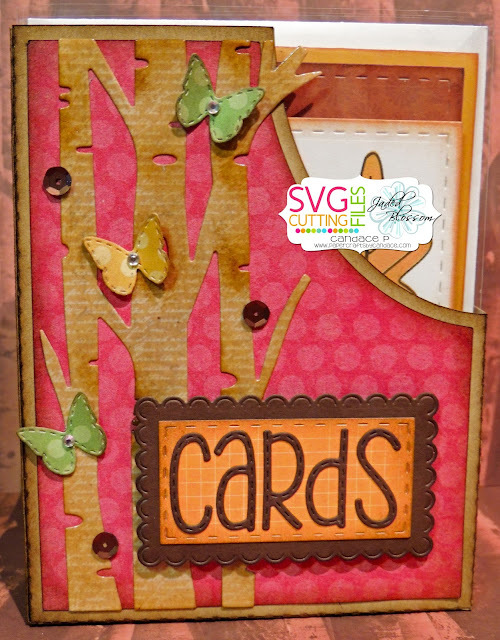 This card box is new from SVG Cutting Files. Along with the new Scenic Die, I used Spring Dies 2, Scallop Rectangle Dies 1 and Stitched Rectangle Dies 1, And alphabet dies. Wow!!! Love this!!! Would make a wonderful gift!!!! Wow!! Great idea! Love it!! Great project and love the colors! Love this box! 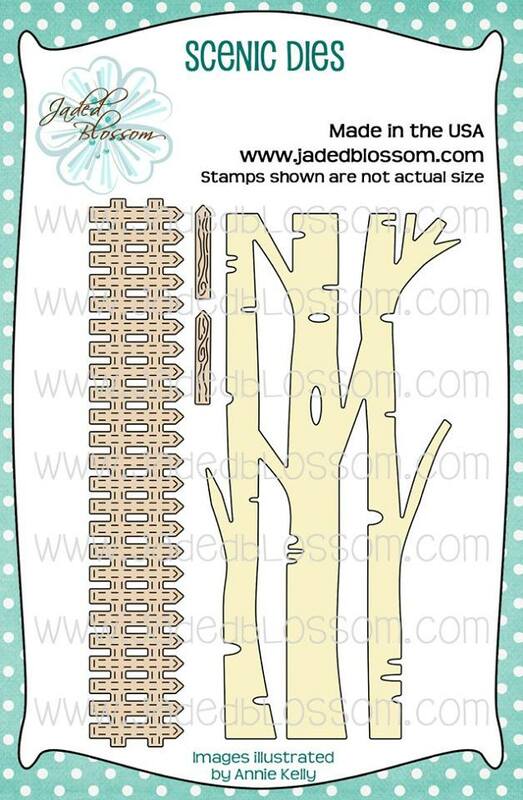 I'm already working on Christmas gifts & this would be perfect for the reciever! This is awesome! perfect for gift giving! Love it! 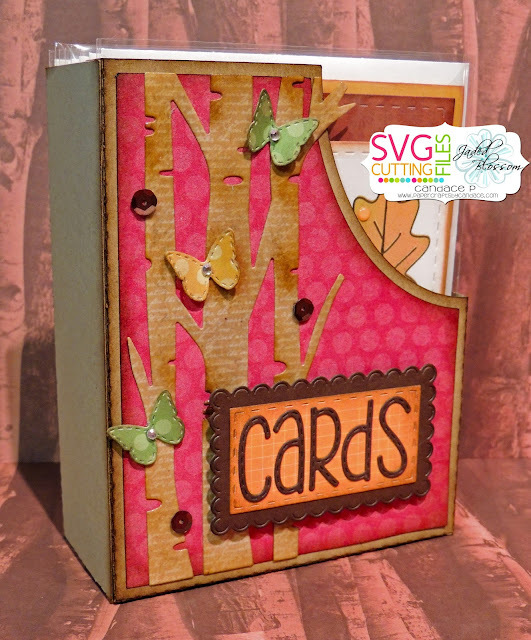 Love this new birch tree die and your amazing card box you made using it! 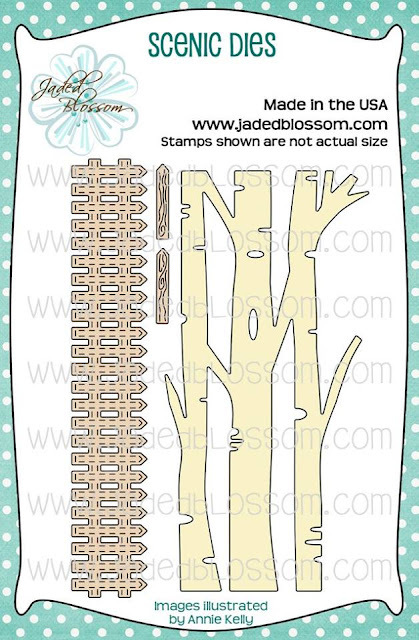 I adore the birch tree die! Love your holder! 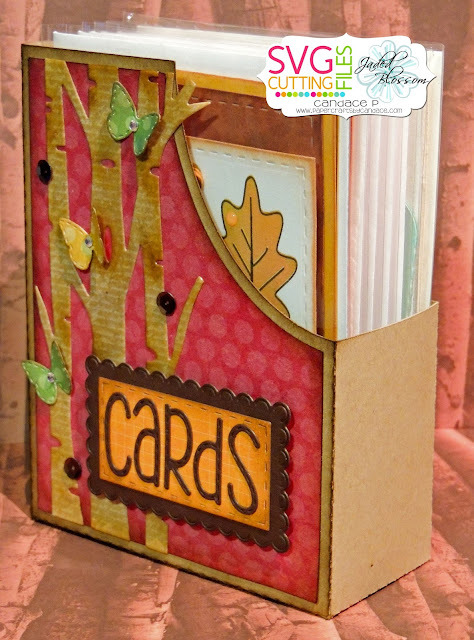 Super cute card box! What a great way to gift a set of cards! Love that birch trees die! Awesome project! Beautiful project! Love the colors you used too. And those alphabet dies. They are on my wish list. Very cute card holder. Love this tree die and the butterflies are so cute. Adorable card box! Thanks for the inspiration Candace, and for the opportunity to win! I have been wanting to make a card box and i think you just gave me a great idea for the shape! I really like the way you decorated yours. I like the colours and the butterflies are super pretty on the tree die!